Balanced Funds are gaining a totally new audience in the mutual fund market. People who previously invested in equity schemes are slowly shifting towards these perfect blend of debt and equity instruments and the reason behind that is the volatility in the stock market. Today, in this post, we are going to talk about HDFC Balanced Advantage Fund, which is a good option for investors who are looking forward to investing in this category. Previously known as HDFC Prudence Fund, this scheme was launched on Sep 11, 2000, and is later changed to HDFC Balanced Advantage Fund after merging with HDFC Growth Fund. An open-ended scheme, this fund falls under the balanced hybrid category and was launched with the objective to provide investors with long-term capital appreciation by investing in a dynamic mix of equities and debt instruments. The minimum amount of investment required for this scheme is Rs 5000 for the lump sum and for SIP, its Rs 1000 every month for 12 consecutive months. It has a current NAV of Rs 178.76 (as on Jul 04, 2018) and the assets under management as recorded on May 31, 2018 are Rs 1162 crore. This scheme is currently being managed by Mr. Prashant Jain, who is the Chief Investment Officer, Executive Director and Fund Manager at HDFC Asset Management Company and holds more than 25 years of experience in the capital market. The fund charge an annual expense ratio of 2.29% (as on May 31, 2018) and an exit load of 1% will be charged if you decide on redeeming your investment before 365 days. HDFC Balanced Advantage Fund G has 88.95% of total investment in equities and 16.7% in debt instruments. It invests around 65% of the total assets in the top 3 sectors which are energy, finance, and metals, and the other top sectors that it invests in are FMCG, construction, automobile, and healthcare. The top 10 equity holdings of the scheme include ICICI Bank, ITC, Axis Bank, Reliance Industries, Tata Steel, NTPC, BPCL, Coal India, HPCL, and ONGC. For a detailed portfolio, you can visit MySIPonline. HDFC Balanced Advantage Fund has shown consistent growth over the years. This scheme has given returns of 6.33%, 10.05%, 15.95%, and 12.91%, in 1, 3, 5, and 10 years, respectively. It has beaten its benchmark on all the years, except for the 1-year returns. A drop was observed in the scheme during the bearish market of 2008, after which it started recovering from Mar 2009 and since then, it has shown consistent growth. This scheme is a great option for investors who are looking for good long-term capital appreciation by investing in a balanced mix of equity and debt instruments. The risk associated with HDFC Balanced Advantage Fund is moderately high, so investors should choose it accordingly. With the help of the above information, you can check that if this scheme is suitable for you or not and can make investments accordingly. 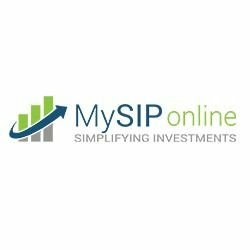 For making an investment in this or any other mutual fund scheme, you can visit MySIPonline and can enjoy the hassle-free process of investment.